We did it! Thank you to all of our followers and supporters! 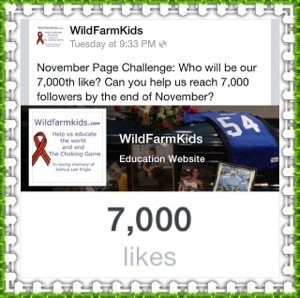 We have reached the challenge we made for November, to get 7,000 followers! Thanks so much for being so awesome and helping us spread awareness!! Good point. You could wish to read my latest article too. I do not want to seem to pompous but I make certain you will discover it appealing. Hello friends, good post and good urging commented here, I am actually enjoying by these. subsequent publish, I’ll try to get the hold of it! from somewhere? A theme like your with a few simple adjustements would really make mmy blog shine. Pleas let me know where you got your theme. Just desire to say your article is as astounding. The clearness in your submit is simply cool and that i could assume you are a professional in this subject.